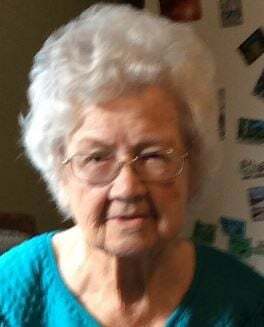 Alice “June” Nielsen died January 3, 2019 in Shoshone, Idaho at the age of 95. She was preceded in death by her husband, Marx L. “Sam” Nielsen; baby, Danny Nielsen; parents; five brothers; four sisters; and much-loved nieces. She is survived by: one sister, Della Newby Hansen; her son, Michael Nielsen, Sr.; her daughter, Becky Nielsen Goold; five grandchildren; 11 great grandchildren; two great great grandchildren; and a large extended family. 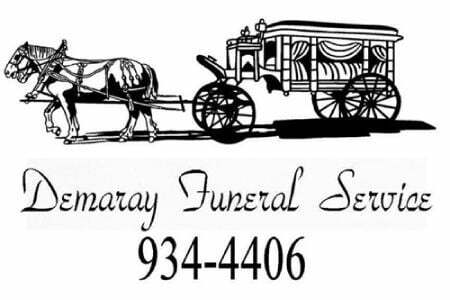 A viewing will be held on Friday, January 11, 2019 from 4 to 6:00 p.m. at Demaray Funeral Service – Shoshone Chapel 404 West B Street in Shoshone. The funeral service will be held on Saturday, January 12, 2019 at 10:30 a.m. at the funeral chapel. Graveside services will follow at the Shoshone Cemetery. In lieu of flowers the family suggest donations to the Golden Years Senior Center 218 North Rail Street Shoshone, Idaho 83352.